Before he could finish high school, he was proclaimed “King James.” After officially being an adult for only half a year, he was drafted by the Cleveland Cavaliers. He dazzled basketball fans with his pure and utter strength along with powerful, Shawn Kemp-esque dunks as he became Rookie of the Year. The next six years of his life were spent in the state he was born, yet they were spent unfulfilled. Empty. Not one NBA Finals victory. Not one ring. Then, the “Decision” supervened. The man made the toughest decision he could have made in today’s world, forcing all of us to tell him how erroneously he was going about his life. To join forces with fellow All-Stars goes against the established grain of the NBA yesteryear and should be considered unbecoming of an upper tier player in the game. But he took his talents to South Beach. As the Dallas Mavericks’ veteran “team” took down the heavy favorites in the 2011 NBA Finals and he failed to make any sort of impact when each successive game came to a dramatic close, people coming from all levels of credibility began to point out the weakness in LeBron. The apathy. The lack of meaningful jewelry. From the first day of this season to the very last, the man didn’t look to be on a mission – he was on a mission. He was on a journey to learn from his failures and improve the facets of his game. He was on an expedition to find what has seemingly been lost for nine interminable years of distressful aspiring. The King was on a quest for his ring. LeBron Raymone James claimed his ring. The Miami Heat defeated the Oklahoma City Thunder 121-106 on Thursday night to bring the Heat organization their second championship in franchise history. Dwyane Wade, Udonis Haslem and Pat Riley were a part of the first Heat team that won it all in 2006. The Heat outplayed the Thunder in Game 5 in every way possible – literally. They had more rebounds, assists, steals, blocks, points in the paint and points off turnovers along with a better field goal percentage and 3-point percentage. This led to the least competitive game of a series many believed would go 6 or 7 games and gave 39-year-old Juwan Howard a chance to get in an NBA Finals game. The Big 3 that came together just two summers ago has proven to be worth the constant hatred for attempting to “buy a championship.” Wade (20 points, eight rebounds, three blocks, two steals) and Chris Bosh (24 points, seven rebounds, two blocks) looked as determined as James to cap off two years of struggling and working to discover the just-right team chemistry that would work for such a top-heavy team. In the end, these two helped out their third member by stepping to the side, which isn’t east for two players that had been the face a of franchise up to that point in their career. Stuart Scott even asked Wade a question after the confetti had fallen, mentioning how he couldn’t do it on his own and had to “defer” to LeBron James in order to win his second ring. However, Wade didn’t even think twice about agreeing with him. Bosh might have considered by Erik Spoelstra, who has instantly gone from being an overrated coach to a deserving champion, as his most important player, but realize this man never got to sit at the postgame press conference table with James and Wade. Back in the locker room was his personal home to provide quotations. Undoubtedly, the back-to-back 2003 early draft picks were the second and third best players for the majority of their minutes on the court behind the No. 1 drafted player from that year. They knew it, they accepted it and they prospered because of it. The surprise of the night came from none other than Mike Miller who fulfilled the Heat’s goal of having one player in each game find it in himself to not play like himself. The man averaging only two points per game up to Game 5 that looked to be losing the ability to walk exploded for 23 points on 7-8 shooting from the 3-point line after making no 3-pointers in the first four games. There is no way of explaining this odd but consistent pattern of unexpected contributors from the Heat, but it certainly turned their squad into the deeper team since James Harden never seemed to leave Oklahoma City, finishing up the worse series of his career. After pouring in 43 points on an outrageously efficient 20-32 shooting from the field in Game 4, Russell Westbrook failed to come close to those type of numbers as he trudged to the end of the Finals. The growing and electrifying point guard shot 4-20 from the field and reverted to the player that has been so often attacked for his volume shooting and incorrect approach to his position. Yes, he is a point guard who must create for his teammates and learn to make the “correct decision” more times than not. Even with this dreaded ending to his season and the adjustments he will be told to make, the upside of this team reflects directly onto Westbrook; they will both only get smarter and better with age. The award for winningest loser goes to none other than Kevin Durant. It feels redundant to constantly use the same description for the three-time scoring champ but it fits too well. Pure scorer. The ex-Longhorn put up 32 points on 13-24 shooting from the field and also grabbed 11 rebounds in a valiant attempt to save his team’s season for one more game. This was simply another night for Durant who averaged 30.6 points on 54.8 percent shooting in his five Finals games. Scoring has never been an issue for Durantula. Turnovers, however, continued to be a clear problem as it ended up being for the entire series. He finished with seven turnovers, helping the Heat score their 29 points off turnovers. He may seem to be coming into form on the offensive end of the court, but Durant has plenty to work on defensively as that is the next asset he needs to add to his game. If he implements solid defense into his system while still scoring at a breakneck speed, this man will turn into one special NBA player. This Thunder team isn’t finished. Since every single key contributor (except newcomer Derek Fisher) will be on the roster to start the 2012-2013 season, they are the new Miami Heat. After a successful, highlight-filled season in which they looked unbreakable and unstoppable coming off four straight wins against the No. 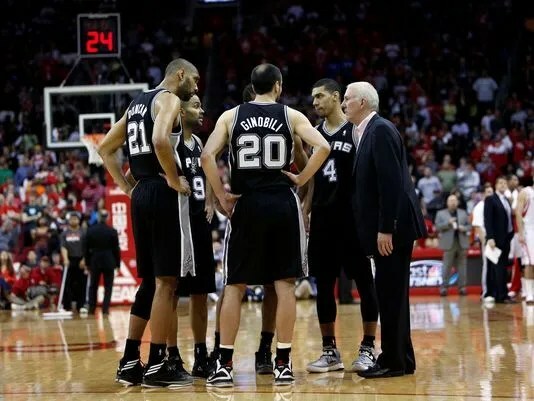 1 seeded San Antonio Spurs, all the team chemistry, all the shooters’ rolls, all the clutch plays seemed to fall to the wayside. It seemed as though they didn’t have enough experience to thrive when the lights shined brightest. These painful and arduous four straight losses will mature this squad, just as Miami kept the 2011 Finals in the back of their minds throughout these playoffs. Losing to the future NBA champions in three consecutive playoffs certainly has an upside to a team’s development. So, don’t be surprised if Durant and Westbrook begin dressing and acting like never before. Even though there can be plenty of fingers to point at the Thunder or backs to pat on the Heat, don’t be confused; this night belongs to the NBA Finals MVP. Putting together his first triple-double of the year with 26 points, 13 assists and 11 rebounds, James capped off one of the most dominant playoff performances ever – he had not one bad 2012 playoff games – with an artistic finish. Only three other players (James Worthy, Larry Bird and Magic Johnson) in NBA history have registered a triple-double in a title-clinching game and only two other players (Magic Johnson and Tim Duncan) have led their team in points, rebounds and assists during the NBA Finals. Without watching this man play basketball, it sounds as if I’m simply going on and on about a player I love dearly. (If you know me, I know you’re confused up to this point.) However, I am in no way a LeBron James fan. In fact, for the most part, I have found myself on the other end of the spectrum, criticizing the one gargantuan flaw in his complex game. But he has proven me and the rest of his doubters utterly wrong. A single game can’t represent an entire season for one player, but Game 5 came exceptionally close. James scored. James rebounded. James assisted. James defended. James stole. James blocked. James led the way to an NBA championship through not only his stellar gameplay but his demeanor. Countless times throughout the game, he gave one of his teammates a look to simply calm down because “hey, I have waited way too long for this to let it get away from me now.” Unlike last year, there were no baseline celebrations between James and Wade until the series was in their grasp. Oh, and you know all those 3-pointers that all of a sudden began to fall for Shane Battier and Mario Chalmers who combined to shoot 23-49 from deep? They shot 3-32 with LeBron on the bench. That’s 9 percent. Realize this: he is the greatest athlete to play a professional sport during my lifetime. He possesses the perfect combination of power, speed and skill which allows him to dominate any aspect of the game. To add onto these skills, he has the proficiency to control all of these attributes, whether on the ground or in the air. How else can you explain his ability to effectively guard every single Boston Celtics’ starting five in the 2012 Eastern Conference Finals or score 29 of his team’s last 30 points in a 2007 Eastern Conference Finals game? When James wasn’t deferring last year during the regular season or particularly during the Finals, he tended to take and miss leaning 3-point shots during crucial possessions. These type of shots have never been kind to him. Never shooting 80 percent from the free throw line or 36 percent from behind the 3-point line, it seemed as though this characteristic could possibly hold him back from growing into his full potential and make him the best player to never win a title. But he learned from this. By adding a necessary post-up game to his skilset last offseason, LeBron found a way to take to heart the criticism people loved to provide him and develop his already forceful impact. He went on to shoot an astonishing 53.1 percent from the field and 130 less 3-pointers on the year. He didn’t ignore his struggles from deep; he simply adjusted his gameplay to better suit his strengths – mainly, his strength. This allowed his game to be expanded as he averaged 27.1 points, 7.9 rebounds, 6.2 assists and 1.9 steals during a third regular season MVP campaign. He gave it all he had as he accumulated 3,310 minutes this season; only 11 other players put in more the previous season – a full-length season. Even before the playoffs began, he established himself as the best basketball player in the world. No one else can even imagine playing at his level. Not even Kobe Bryant. Not even Kevin Durant (yet). Even so, none of this could be discussed in a positive manner. The accolades, the dominance, the success just built up more pressure for James to do what he has been told he is obligated to do. James has been living with this burden since he came into the league. 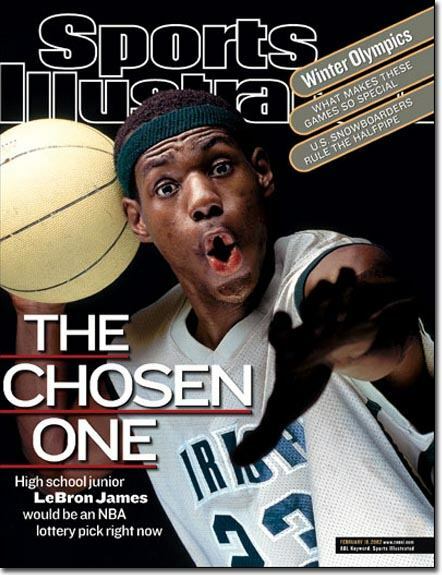 Magazines could be found across the nation with 17-year-old LeBron in his green, gold and white St. Mary High School uniform. When greatness can be predicted that early in a kid’s life, pressure is inevitable. And the side-effects have shown. Throughout the early part of his career, he seemed to play with expectations unlike any other athlete has ever received. (The fact that Twitter, Facebook and our social media world emerged faster than LeBron didn’t help him here.) Additionally, James was perceived to lack the one quality that seems to just go along with being great – clutch play. The scrutiny seemed to effect his play when his team needed him most, and this caused even more scrutiny to come onto the scene. It has never been greater than this year. He came up [insert degrading adjective here] during the 2011 NBA Finals, and if he followed that up with yet another season without a title, who knows what would have happened to Mr. James’ sanity. Or his hairline. But as has already been said and this picture clearly depicts, he was on a mission. After being down in three of the four (does anyone even remember that Knicks series?) 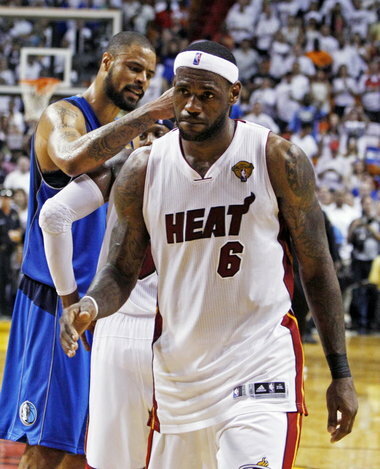 series, LeBron did what he couldn’t do last year under pressure – he responded when his number was called. 39 points and 13.7 rebounds. That’s what he averaged in the three games after his team went down in a series. His team won all three games. Clutch. James has now tracked down that elusive ring and stopped the constant scrutiny of his every move. The great Michael Jordan once discussed how a player can take his game to a place he has never seen once he wins his first championship. It’s as if the game becomes slower, shots become easier and pressure becomes lesser. Once a player gets into this distinctive club, his membership can never be rendered invalid. Taking into account the new realm of the NBA world that opens up to any player that obtains that first title, apply this to No. 6 – the man with all the pressure. For the first time in the prime part of his NBA career, he will initially be a backstory to the likes of Chris Paul, Carmelo Anthony and Kevin Durant as they search for what he recently discovered. Now, here comes the outrageous but honest-to-goodness reality: this is the not the best LeBron James we will see. With an advanced attitude to take to work everyday, the Miami superstar can simply play for the joy of the game rather than the obligation to reach the peak of the mountain. It’s all downhill from here. Can you even imagine him playing basketball without a ring? I still can’t. That’s the LeBron that will soon be around the corner. That’s the LeBron that will get to start an NBA season without answering questions regarding his chances of doing better than his last postseason failure. Even though the physical part to his game has reached close to its max, the mental part broke through a door that could only be unlocked in one way with one key. Many have attempted to get through this door by using their own brute force or jimmying the lock, but as James can attest to, there is only one way in. With the physical and mental part of his games coming close to reaching their full potential, we are on the brink of seeing something no one has laid eyes upon – the best player to ever play the game. I know, call it blasphemy. Go tell Michael Jordan and Scottie Pippen so they can set me in my place. So just know, you’ve been warned. You will still see LeBron inundating the news media, but this time, it will be solely because of his incomparable play. For now, though, LeBron doesn’t have to think about his performances, his goals or his comparisons to the greats anymore. Well, if he wants to, it will make him happy this time around. But LeBron can live in the moment and be thankful that he is a part of the organization that won the 2012 NBA championship. Well said, champ. Well said. If the Thunder want to have a chance to win a title, they must forget that they have only played three NBA Finals games. They must think they have played six. Oh, and make their free throws. The Miami Heat hold a 2-1 series lead on the Oklahoma City Thunder and will look to extend their lead Tuesday night. If they do this, understand that the series is over. It’s indisputable. Not only has no team ever been able to overcome a 3-1 deficit in the NBA Finals but none of these teams even forced a Game 7. Also, none had to face a LeBron James as focused and relentless as he is at this exact point in time. Numbers can only explain so much of his effect on the game (30.3 points, 10.3 rebounds and 86.2 percent from the line in the Finals); he has become an absolute workhorse pulling the load of his past, his incessant critics and his entire team and pulling all of this spectacularly. 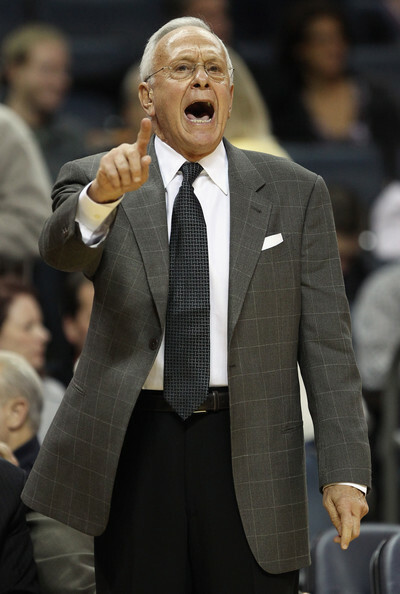 He won’t allow his opponent to win three straight games on “his” team. So, coming back from a 3-1 hole against this monster? Not happening. We live in a time of constant analysis of every single player for ever single game in every single professional sports league. There has to be an intricate formula in order to figure out how the Thunder can win, right? The answer is actually clear. Very clear. They must shoot their free throws like they consistently did prior to the NBA Finals. Even though the abysmal 62.5 percent shooting they had in Game 3 forced many eyebrows to be raised, their first two games weren’t much better. They finished Game 1 shooting 74.1 percent from the charity stripe and Game 2 shooting 73.1 percent. Even though this could be considered decent for most teams, the Western Conference Champions shot 80.6 percent during the regular season and 83.5 percent during the first three rounds of the playoffs. This efficiency has been the key cog to their success during this shortened NBA season. Fixing this cog must start with Kevin Durant. During their current two-game losing streak, Durant has only made six of his 10 free throw attempts while his counterpart LeBron James has made 18 of 20. No one else on the team comes close to getting to the line as much as the three-time scoring champ, so he should feel as though he is obligated (without the pressure) to put the ball in the hoop like the KD that shot 87 percent from the line in the Western Conference playoffs. Again, this small difference can completely change tonight’s finish. With the way these games are going, Game 4 has a high probability of ending with one team winning by single digits. If the Thunder want to be this team that comes out on top and keep their championship aspirations alive, they must take advantage of what is given to them for free as they have done all year long. Kevin Durant scored 33 combined 4th quarter points in the first two NBA Finals game (17 in Game 1 and 16 in Game 2). Durant now easily holds the all-time record for most points in a player’s first two career NBA Finals games, passing Shaquille O’Neal’s 23 from 1995. The Oklahoma City Thunder and Minnesota Timberwolves provided fans with the best game of the season so far. The Thunder ended up winning this face-off in double-overtime, 149-140 (the highest scoring game this year by far), but numbers can’t portray how back-and-forth this game really was. No doubt about it – this showdown should be considered an instant classic. This game featured two of the premiere power forwards in the game (Kevin Durant and Kevin Love) and supporting casts from both sides stepping up in big ways. Kevin Durant racked up 40 points and grabbed 17 rebounds as he made two clutch 3-pointers in the waning seconds of regulation and in the first overtime. Kevin Love had a franchise-high 51 points and grabbed 14 points when he wasn’t putting the ball through the net. He also reminded Chesapeake Energy Arena that he did in fact win the NBA Three-Point Shootout by making a career-high seven 3-pointers. J.J. Barea became the first Latin American-born player in NBA history to record a triple double (25 points, 14 assists and 10 rebounds). In his previous game against the Spurs, he put up 18 points and 11 assists. He is playing at a very high level right now and reminding the NBA why and how he played an integral role in the Mavericks championship run last year. Russell Westbrook played out of his mind against the Thunder’s divisional rival. The freak-of-an-athlete point guard scored a career-high 45 points on an efficient 17-28 shooting. The Thunder signed him to an extension earlier this season, and if his play remains anywhere near what he did tonight, Oklahoma City ownership will be very satisfied. Anthony Tolliver, who only averages 3.6 points on the season, continued his recent exceptional play. The lesser-known Minnesota power forward had a season-high 23 points on 9-13 shooting. He had 10 and 16 points in his previous two contests. A consistent spark off the bench from a big man (no, Michael Beasley, you don’t provide this for the team) would be helpful for the Timberwolves. The third-wheel on the Thunder shouldn’t be forgotten since he had a great all-around game. James Harden finished with 25 points, six rebounds and six assists. Having this punch from a sixth man that has the skill-set to do whatever the team needs him to do will be invaluable for Oklahoma City once the playoffs roll around. Serge Ibaka continued to remind older fans of Marcus Camby as he had five big blocks on the night. This is the tenth time he has had five or more blocks in a game this season as he easily leads the league with 3.3 blocks per game. He might be scoring less than he did last year, but with the way he controls the paint night in and night out, I think the city of Oklahoma City couldn’t be happier with his play. Scott Brooks understood the difference between a fan’s perspective and his own perspective in regard to this thriller. Either way – he knows it was a game to be remembered. The best in the world came to play on Sunday night, and the best players on the best NBA teams showcased what they’re best at – for better or for worse. On a night in which Kobe Bryant passed Michael Jordan for most points in All-Star game play and many great dunks filled the highlight reel, the Western Conference held off a surging Eastern Conference team, 152-149. The West jumped out to a 90-69 lead early on in the second half. LeBron James and the rest of his East team, however, would not let the night end without a fight. Through actual defense and efficient play from James (five three-pointers during this run), the East made it a 150-149 game with 22 seconds left in the game. After Kobe Bryant split his free throws, the East had their chance to give Orlando an exciting ending to their eventful weekend. With the way LeBron had played during the second half, it would make since for James to take the last shot. Tom Thibodeau initially drew up a three-point play for Deron Williams, which made sense since he was 4-6 from behind the line prior to this play. After hitting the front rim on this shot, D-Will grabbed his own rebound and gave it to the man that should have had the ball in the first place – the King. The pressure was on him as the game came closer and closer to a finish. Turnover. James decided to try an odd pass across the court that was easily stolen by Blake Griffin. He (yet again) passed up the chance to take the last shot of the game, and it cost his team the game. Yet, if you listened to LeBron in his post game interview with Craig Sager about how the game finished, he was upset. He cared. He knew he messed up. Aside from LeBron pulling a LeBron at the end of this game, this game had the Thunder and the Heat showing the country just why they are currently tied for the best record in the league. As I just described, King James had quite a game. His 36 points, seven assists and six rebounds helped his team get back in this game. This is definitely his scene to display his high-flying plays as he might have actually outdid Griffin in regards to dunks. Dwyane Wade might have had the quietest triple-double – ever. He had 24 points on only 15 shots to go along with 10 rebounds and 10 assists. He joins Michael Jordan and teammate LeBron James as the only players to record a triple-double in an All-Star Game. The King might be the best basketball player in the world right now, but it can’t be ignored that the Flash knows how to play and knows how to play fairly well. Compared to last year’s All-Star game, the chemistry between these two has greatly increased… something the rest of the league doesn’t like to see. Finally receiving an award for all the scoring he does, Kevin Durant won the All-Star Game MVP because of his pure scoring. Durantala (anybody else think this nickname is a little forced?) put in 36 points and grabbed seven boards. With Carmelo Anthony’s struggles this year, I might have to proclaim Durant as the purest scorer in the NBA. It seems to be effortless when he drains a three-pointer, pulls up for a mid-range jumper or takes it all the way to the hole for an easy dunk with his long arms. This kid has already put in 9076 points in only four and a half seasons, and I don’t see him slowing down any time soon. If a Sixth Man Award was given on this night, Russell Westbrook would have easily received this award. In 28 minutes, Westbrook wowed the crowd with multiple rim-shaking dunks (please be in the Dunk Contest next year Rus…) to help give him 21 points off the bench. Grabbing five offensive boards, he tied Dwight Howard for most offensive rebounds in the game. I’m convinced – Westbrook is the most athletic point guard in the NBA. A freak of nature best describes him, and he shows why that is night in and night out no matter the situation. Even though many still doubt Westbrook and Durant’s ability to work together (including myself), they showed why they have a knack for winning and are the highest scoring duo in the NBA. These men know how to put the ball in basket, and as long as they can establish an understanding regarding how end of games will go down between the two of them, their team should be considered the favorite in the West right now. Dwight Howard was practically the host for this entire weekend in Orlando. He attended all the events and had a part in each one. The role of “host” fit perfectly for Howard as his big personality and smile made the weekend that much better. When it was time for him to suit up, D12 forgot to change his mindset. Shooting four three-pointers (don’t even ask if he made any of them), joking around the entire time and not even attempting to look as if he cared, I couldn’t help but feel sad for the Orlando fans that had to watch their franchise player take this game for granted. Howard won’t be in Orlando much longer. Whether he is gone by March 15 at the trade deadline or during this next offseason, Magic uniforms with “Howard” and “12” on the back will soon be going on sale. So, this might be one of the last times this beautiful arena gets to cherish their big man. Instead of giving them a performance that would be remembered even after he is gone, the only thing fans will remember is him ducking out of the way as Westbrook continually slammed the ball into the hoop. Sorry Orlando, your big man didn’t show up on Sunday, and you all might as well treasure every game this season you get to see him in a Magic uniform. There won’t be many more.